A few years ago, I started a foundation - The La Jolla Foundation - which sat dormant for a few years until it was given official non-profit status - but the initiative to give something back was set in stone. 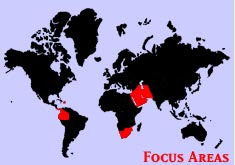 And now as an official 501C3, one of our ongoing programs is Project Active - http://www.projectactive.org/ - a mission to diffuse world tensions through sport. The project has sent Soccer balls to Iraq, Haiti and Mexico. This past week - one of our shipments of Shoes made it to Afghanistan - thanks to Nick MacFalls, the Director of "From Our Feet" who contributed the shoes for our distribution. And our hats are off to the amazing CPT Conrad Jakubow (seen reading in the video below) who coordinated the distribution on the ground -- and he also started cricket and soccer tournaments in Chamkani-- Conrad is a big supporter of the youth groups in this area. And a special thanks to Dr. Ghazi, the head of the local youth group in the area. Also our gratitude for Michelle Matricardi, the operations director at Project Active, for her work on this drop. Just prior to the distribution, they read an e-mail from me to the children. Here is what they read. You can watch a video of this touching moment by clicking the play button below.